CO.ME Srl has always stood out for the excellence of the raw materials and the accuracy of the process of its products in more than 50 years of success on the Italian and International market. The products supplied by CO.ME are warranted to be free from defects in materials and workmanship. The warranty is exclusively geared to direct CO.ME Customers and responsibility to CO.ME is limited to replacement or repair of any defective products recognized, provided new and provided that the reporting of defects occurred within 8 days from receipt of goods. Under no circumstances will the replaced used products. 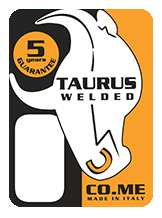 In addition to the general warranty, CO.ME guarantees, limited to trowels, the strength of the welded joint between the blade and shank, for 5 years from the date of purchase. The warranty is limited to replacement or repair of any products acknowledged to be defective, provided used correctly. It will be done exclusively through the Customer to CO.ME Srl. The guarantee in extended form, contractually valid apply to customers who request them.